We can’t hold the Truth of Eternal Love and Divine Provision while we hold resentment for one another. The false truth of injustice stands in the way of Believing in the Truth of Provision. In the end, what we find hardest to forgive are the offenses that we believe are obstacles to our own Happiness – a loss of self worth that creates an obstacle on our path. The premise of our resentment is a false truth that a Human can stand in the way of a Divine Provision. CIB holds the Collective of the Highest Wisdom. With the courage to look within, we could find that all of our suffering was our own lack of Consciousness of the Truth. Holding the Wisdom of Truth, our thoughts will always be turned to a Gift of Knowing Unconditional Love. We can never Know the experiences that motivate the thoughts of another Human Being. We never know the suffering that may have caused the offense. We are never at our best when we’ve lost hope. That’s when our behavior ceases to matter. The Answer to Forgive and Forget is Compassionate Love. What if we saw the offenses of others as their own broken moments of Lost Hope? It’s not for us to change the thinking of another. But we can walk away to the next opportunity for Love, leaving with Peace and Compassion in our Heart. We don’t have to bear the burden of their suffering. A lack of forgiveness also stands in the way of learning something about our Self. When the student is ready, the teachers appear. We have been prepared through the Consciousness of Unconditional Love to take a fearless look at all our thoughts and experiences. We’ve been Given the Consciousness and Love to look objectively at our own Human failures. We can waste a lot of time trying to figure out what’s broken in someone else. But when we use our Intellect for a Divine Discernment within, we’ll be led back to the Truth of Abundant Love. We won’t make good choices when they are intended to prove something to another Human. We won’t make Wise choices, out of the fear of losing something. Our Highest Consciousness is Believing a Miracle overcomes all the odds of Success and Failure. We can follow the Divine Path with Vigilance to the Light that Intends to guide us to our Highest Consciousness of Love and the Miracles of Creation that were beyond our Human understanding. Tone 3 sets a course from Point A to Point B. We were Inspired to Live KNOWING our Communion with a Creator making our dreams come true. Whatever our Dream may be, our Intention is to move forward Believing that every provision has been made. Our future isn’t influenced by Human failures. Our Destiny was guaranteed by an Almighty Creator. Forgiveness can help us to see things clearly. No injustice that’s inflicted by another Human Being is beyond the Power of the Creator to Overcome. There’s no reason to believe that any injustice that could ever be imposed on us could stand in the way of God’s Miracles. Our Heart will tell us when we haven’t forgiven. We can Know this suffering as the Sign we have forgotten our Spirit’s Truth of Love. The Elders say, “The Answer is in the Question.” To arrive at a Divine Answer, we only have to ask a Divine Question. We can ask “How can I understand?” In that question we could shine a Light that would lead us to Harmony and Equity. Blame means we haven’t asked a Question of Divine Discernment. Wisdom/CIB guides us to move in the world like students, eager to learn the best way to understand one another and all things we can learn from experience. Our experience is the treasure that we can go back to perceive in a way that can change our future. If we are open to See, most every injustice was a failure of a Higher Intention. They say when the student is ready the teacher will appear. CIB asks us to seek Wisdom like an eager student, ready to find the answers within our Self. We can bring a new Intention to Life through a prayer to the Creator. We can ask for the Wisdom and Courage to see the Truth in our Self. We can share our Intention to follow a Dream making Choices to Forgive along the way, and Offer Gratitude for the Divine Answers the Old Ones are waiting to share from the Wisdom of their own Experience. 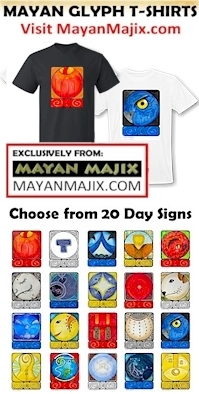 The Cherokee Day Sign the Owl is the mystic ferryman that holds the torch aloft for the journey back to the stars. When we are caught in the snares of blame and resentment, we can turn to the Wisdom of Forgiveness. To all my relations, may we Honor the Ascended Ones and the Elders who achieved Divine Wisdom through the Key of Forgiveness. May they be our Role Models for Happiness and Abundance. May we remember to Love like the Dog, who when turned away, doesn’t harbor resentment. It walks away without any defense to leave a door open to a future Opportunity of Unconditional Love. When it comes back, the Dog offers the same Opportunity for a Sacred Exchange as the first time. Moving on a course of Forgiveness, we hold the Key that will Open all Doors for Us. We can go back to our first Truth of Unconditional Love and Divine Provision when we need to Forgive and Forget. May we remember all the Love we intended to share with the New Seed of our Self. May we See and Acknowledge that the Ascended Ones are present to share their Wisdom with us. May we bring Life to an Intention to Create our Dream following a path of Higher Consciousness and Wise Choices. May we turn to the Wisdom of the Old Ones that is always available within us. May we speak our first words of Creation as a Prayer to Remember God’s Provision, and Dream, Believing in the Power of Miracles to overcome every worldly illusion of impossibility. May our Creation manifest the Truth that Human eyes can see. “A way opens before you. All obstacles and impediments are removed. Wisdom/CIB: The old ones. Wisdom of the ancients. Wisdom persons are aligned with the ancient memories that wait in the stone of temples and sacred sites all over the world. Wisdom people grow luck like a crop using a balance of prudence and tenacity. The tremendous inner strength of this sign enables silent introspection to discover areas of oneself that contain wisdom more valuable than any trove of archaeological treasure. Wisdom persons are valiant defenders of family and community. They may become hardened to life and sentiment turned cold. In these cases, they need much forgiveness for their uncaring errors. Periodically connecting with nature and or visiting sacred sites will bring great stability to wisdom persons.